When you aren’t targeting big game fish, a completely different method of sea fishing can be utilized. Enjoy a smaller, faster boat than normally used for offshore fishing. This is an exciting way to fish for lots of species found within a few miles of land, including sailfish and tarpon. For the best light tackle fishing Key West has to offer, call Captain Moe’s Lucky Fleet today. Unlike offshore fishing, light tackle fishing allows anglers to drift along the water, just them and the fish, with no fighting chairs. Anglers can also relax while setting up a much smaller tackle, with reels as small as those used for freshwater fishing. Of course, the calm and relaxation only lasts until you feel your bait getting agitated and you must get ready for the big fish to take the bait! When your fish breathes in a mouthful of air, you know you are about to win! Why Try Light Tackle Fishing in Key West? Light tackle fishing is something every serious angler should try, especially while visiting Key West. You can find the third largest living reef in the world at Key West, FL, as well as hundreds of wrecks to choose from. On average, Atlantic wrecks are 100 to 400 feet in depth. If this wasn’t enough, the majority of world record fish documented in Key West are caught while on a light tackle boat. Will you be the next to catch one of these world record fish? 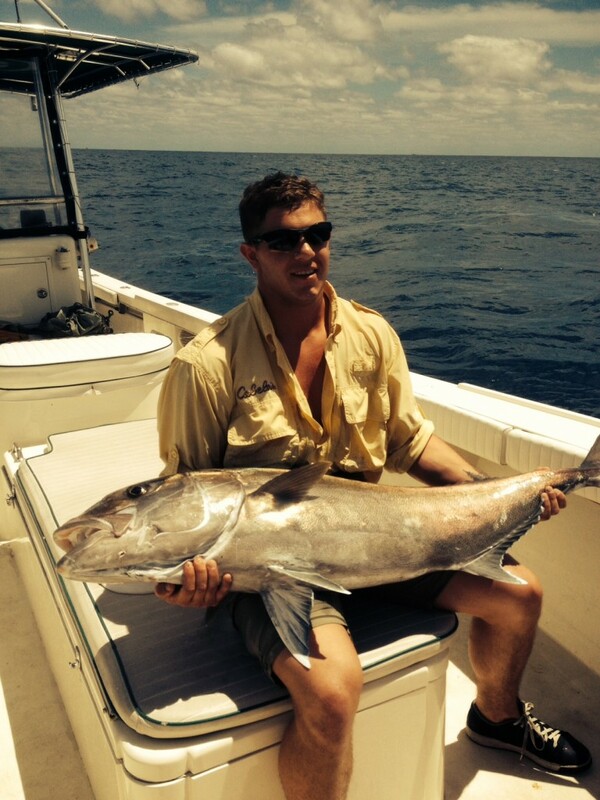 Book Your Light Tackle Fishing Key West Trip Today! While we take pride in our 42-foot charter boat, for the best light tackle fishing Key West can provide, our smaller charter boats may be more your speed. Reel Lucky, our 30-foot custom Proguide Dorado, is the jewel of our fleet, and built specifically for Key West! She includes seating for six, plenty of space for battling large fish, a “shade tree” for when the sun beats down too hot and a large coffin box for drinks and food. If you are looking for a smaller boat that’s perfect for catching tarpon, snappers, sharks and all kinds of fish found around wrecks, our Reel Lucky Too is ready for you! She includes room for battling fish, including sharks and tarpon, and a “shade tree” as well. She is also equipped with a huge Yeti cooler and is a very stable, dry ride. Click here to learn more about our fleet and choose your ride! To book the light tackle fishing trip of a lifetime, call Captain Moe’s Lucky Fleet today or contact us online!